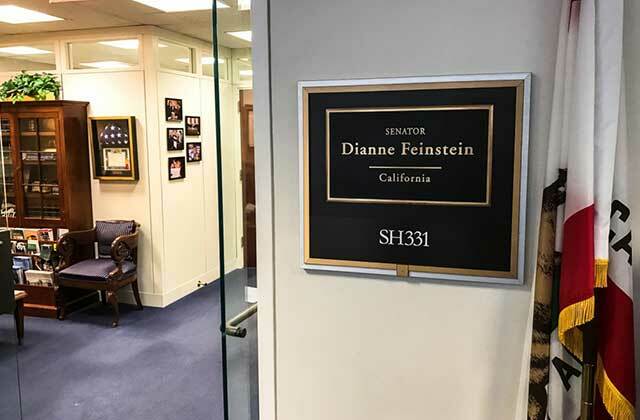 This week, Second Harvest hit the Hill—Capitol Hill—to send a message to legislators about the food assistance programs that help so many of our neighbors in Santa Cruz County and across the nation. We joined advocacy and research groups, service providers, and dozens of other community food banks, fanning out across House and Senate office buildings to deliver a unified message: protect and strengthen SNAP and the other food safety net programs which are a lifeline for so many children, working families, vets, elderly, and more. These programs face continual challenges to their existence. Some in Congress want to turn SNAP (or ”CalFresh,” in California, formerly known as food stamps) into a block grant, which would remove the national commitments and protections contained in the program and would likely cut access to it entirely by millions of low-income families and individuals. We also spoke out for other programs which fill the gaps in food and nutrition for those who need it, with alphabet-soup acronyms like TEFAP, WIC, and CACFP. 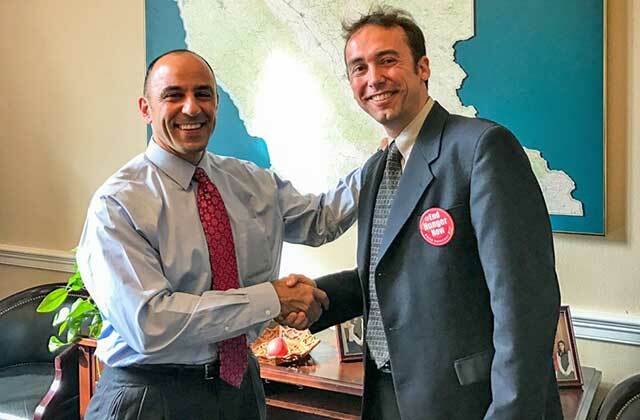 Second Harvest Senior Communications and Analytics Director Chris Ryan met with the new Congressman from California, Jimmy Panetta, whose district (the 20th) includes Santa Cruz County. Ryan explained the importance of the food safety net to the county’s residents, as well as to its overall economy and prosperity. Rep. Panetta strongly agreed and asked how he could work with anti-hunger advocates to defend and strengthen these programs at the federal level. Ryan also met with staff of California Senators Dianne Feinstein and Kamala Harris, who offered their commitments and shared their procedural strategies for Congressional action. In fact, champions are standing up on both sides of the aisle—the very morning Ryan visited the Hill, Kansas Senator Pat Roberts spoke at a breakfast where he declared about SNAP: “I do not believe block grants are the answer.” He received a standing ovation. Reminding folks in Washington of how important these programs are is an ongoing task, yet made easier by how clearly they are needed, how smart an investment they are, and how well they work at reducing hunger day in and day out, across the country. 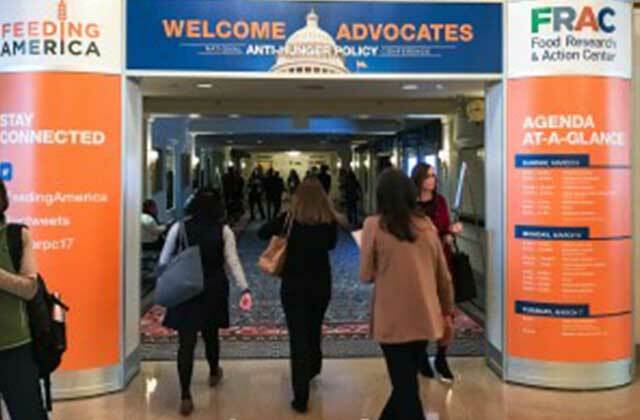 In all, about 1,300 food policy advocates descended on D.C. as part of the 2017 Anti-Hunger Policy Conference, organized by the Food Research Action Coalition and Feeding America (Second Harvest’s umbrella organization). 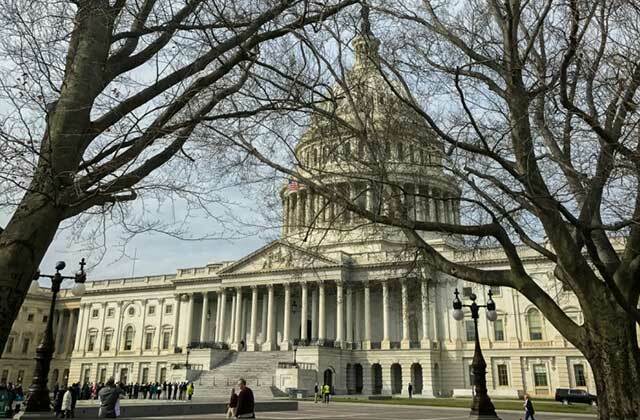 Second Harvest’s travel to Washington was made possible by a generous grant from MAZON, a leading voice in D.C. and advocate against on anti-hunger issues.